The Lone Star Canterbury Rally threw up its challenges for Kiwi motor racing legend Greg Murphy, but he found the whole experience ‘quite contagious’. Murphy made his rallying debut in the third round of the New Zealand Rally Championship, held in the Okuku and Ashley Forests north of Christchurch over the weekend. Driving in the historic class for Stadium Motorsport, Murphy unfortunately had to retire with an expired engine in the sixth and longest stage of the event. 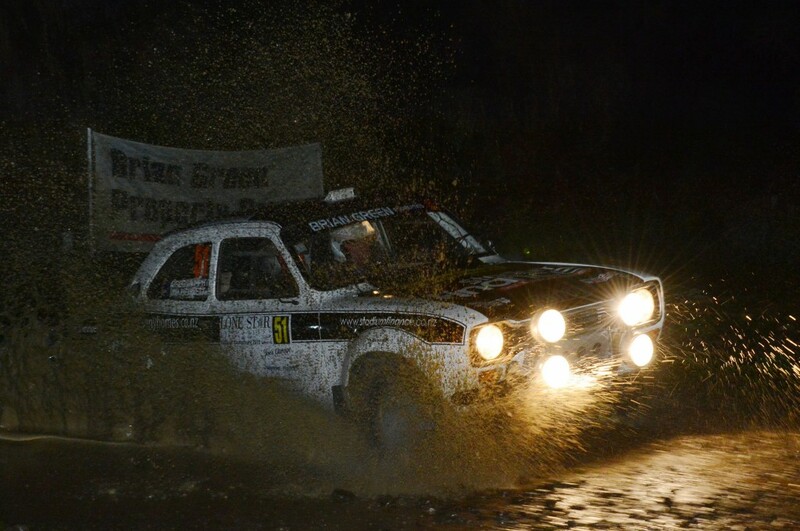 Fifty seven cars started the 171 km ten stage rally which took its toll on the field. The first two stages of the rally were held in the dark on Saturday evening and proved a tough challenge which included a couple of ‘offs’ for Murphy, slipping him down the order. With eight daylight stages on Sunday to complete, Murphy started to find a rhythm and was able to move up the order. However it all came to a sudden stop halfway through the event with a loss of oil pressure and retirement out of the event. Nelson’s Ben Hunt (Subaru) dominated the rally winning by over three minutes from Timaru’s Darren Galbraith (Mitsubishi). Hunt managed to establish over a minute’s lead after the first two night stages, taking advantage of first on the road with dusty conditions creating difficulty for those following in the dark. From there Hunt was able to consolidate in the day light eventually winning seven of the ten Special Stages. Rangiora’s Marcus van Klink won the Historic class in his Mazda RX7 Group B replica. Murphy’s debut has been made possible by the support of rally enthusiast Tony Gosling, Stadium Finance, Penny Homes, Leigh Marston and Rubber Developments.